C3-Wireless identified several years ago that Bluetooth Low Energy (BLE) would be a disruptive technology in numerous enterprise verticals. We set out to create solutions that went beyond simple iBeacons being read by Smartphones and Tablets. In addition to enterprise-class, customizable beacons, we focused on making BLE readers with advanced processing that could track hundreds of BLE beacons per second. This opened the way to new possibilities such as tracking BLE wearables and asset tags in real time, frictionless access control, and beyond. We are now on our second- and third-generation hardware with improvements to battery life and reliability in our beacons, and faster, more powerful readers that support the latest BLE 5.x standard. There is no reader currently on the market that can match the performance and flexibility, including the ability to read more than 500 beacons per second. Today, our technology has been integrated into solutions such as the first third-party BLE expansion module for the Cisco 3800 Series access points, the DeCurtis DC-BR3800-01 BLE Module, powered by C3-Wireless. Because we build our own hardware and firmware, we can create custom form factors or proprietary software solutions to meet your particular need. Our readers work with any BLE 4x or 5x standard beacon, so we can help you integrate already established hardware into your project. Our software developers have years of experience with BLE, so we can build your application for you, or help you integrate BLE into your own application using standard, well-known protocols. Our library of APIs, example source code and applications make it easy for you to have your BLE solution up and running quickly. Far beyond doing simple BLE reads, our latest BLE Reader is the most powerful solution available today. Our reader features user-configurable pre-processing to filter out non-interesting packets and then makes decisions on what data to transmit and how often. Our BLE Readers push traffic to a local or cloud-based aggregator through a lightweight protocol ensuring minimal impact on network traffic. 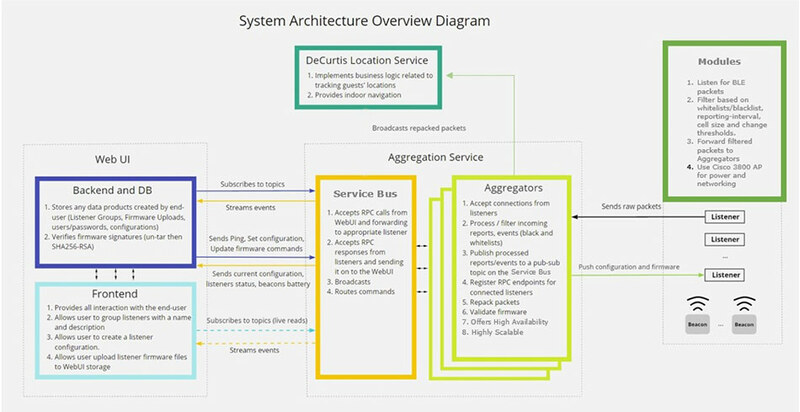 The aggregator can then be configured to transmit data through custom or already available APIs to integrate into any third-party system. The entire platform can run independently from C3-Wireless, protecting third parties from vendor lock or security concerns. Any iBeacon, Eddystone, or proprietary BLE beacons are accepted and v5 support allows for future proofing. Makes high-density solutions possible and allows for beacons to advertise more frequently leading to greater accuracy. Allows for ideal antenna placement and type depending on use case. External antennas typically also capture more accurate reads. Dramatically improves network bandwidth utilization and quality of reads which improves location detection accuracy and provides greater control over configurations for various use cases. Only one low-power network cable required, allowing for easier implementation and ideal device placement. Low power requirement means less expensive PoE switches needed. System can run 100% independently from outside end user’s organization. Allows centralized management for group configuration and firmware updates. Allows for fast and easy provisioning. Allows for additional use-cases such as wayfinding. Simplifies application development and provides greater flexibility while minimizing network traffic. C3-Wireless is proud to have partnered with DeCurtis Corporation to develop the first ever Cisco-Certified Third-Party module for the Cisco 3800 Series access points, the DeCurtis DC-BR3800-01 BLE Module, powered by C3-Wireless. The DC-BR3800-01 BLE Module is a BLE 5.x Device that can advertise beacons as well as read more than 550 simultaneous beacons per second. The proprietary, advanced processing algorithms dramatically improve network bandwidth utilization and quality of reads, which provides greater location detection accuracy and control over configurations for various use cases. It gets power and network connectivity through the access point, but otherwise operates completely independently. Reduces installation time and costs. No need to run new power or network cables. No need to remove access point to install. Allows for fast and easy provisioning. Low impact on access point, ensuring access point has enough resources to operate radios and advanced features. Ensures device will not void Cisco warranties and can be used in North America or Europe. 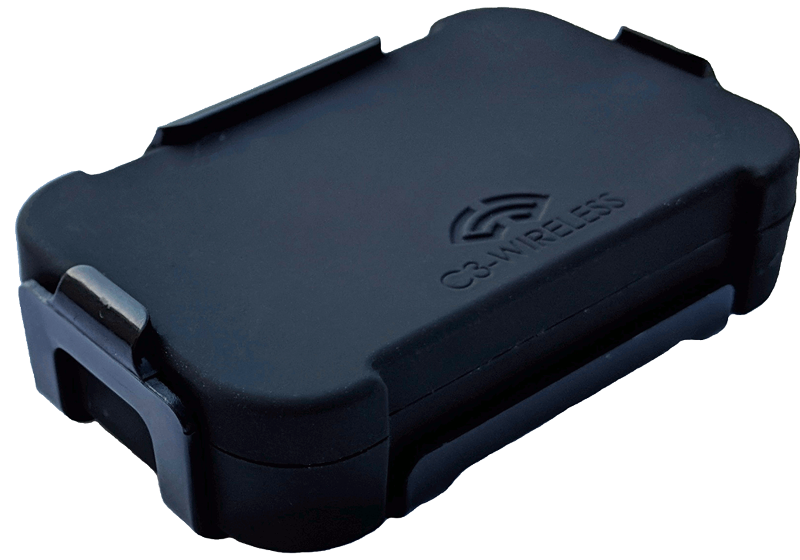 C3-Wireless BLE Readers “push” data to an end-point. This end-point is typically a C3-Wireless aggregator that makes it easy to create connectors for integration into third-party applications while also connecting to the C3-Wireless BLE Reader management platform. The aggregator and management platform can be local to the network or cloud-based. Note: The BLE Readers can also send data directly to third-party developers, completely independent of C3-Wireless. Our management platform makes it easy to centrally manage onboarding, configuration and updates for larger implementations by groups or individually. The platform helps administrators troubleshoot implementations by providing views to historic data, live reads and alerts. C3-Wireless is excited to introduce a ground-breaking approach to Bluetooth Low Energy. The BTLE Beacon Reader turns Bluetooth platform design upside down. Most current solutions combine beacons placed in a fixed location with a BTLE-aware app on a mobile smartphone or tablet. As the mobile device comes within range of the beacon, the app triggers an event either locally on the device or sends data to a cloud-based analytics server. This solution is appropriate for certain applications, however, the industry has discovered many limitations with this design. The Beacon Reader addresses each of these issues by redesigning how BTLE is implemented. Instead of using a stationary, battery-powered beacon relying on mobile smartphones to relay information to an analytics server, the always-on Beacon Reader becomes the stationary device. The Beacon Reader can hear any BTLE-compatible beacon, including Smartphones acting as beacons, and transmit that information back to an analytics server. The analytics server can then trigger actions based on pre-defined events, including sending push notifications to the smartphone. Integrators can now track mobile assets without the need for end-user interaction. Just attach any BTLE-compatible beacon to the mobile asset and configure the analytics server behavior. Mobile app developers can easily integrate BTLE functionality into their software using the Beacon Reader’s open API calls. Configuring the phone to act as a beacon instead of listening for beacons requires less power and data usage, and can be configured as a secure, proprietary system. C3-Wireless has worked with third-party vendor beacons in the last few years. What we have discovered is most do not live up to their advertised capabilities. So we decided to build our own enterprise-class beacons made with high-quality parts and customizable firmware. Because we manufacture our own devices, we can create custom form factors or proprietary firmware solutions. Examples of past projects include adding battery life measurement to iBeacons, slowing down advertisement rates for longer battery life, or completely proprietary solutions for frictionless access control. Our standard beacon features a “smart slot” that allows the beacon to be powered using either a large CR2450 battery for multi-year usage, or an alternate power source from USB, wire tap or even solar power. We provide an IP65 capable enclosure for outdoor installations and harsh environments such as cement plants. 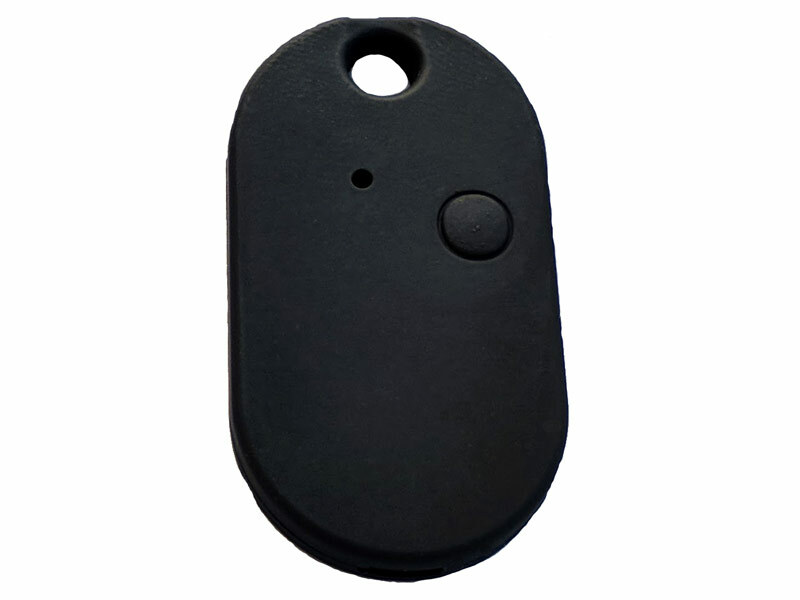 Our keychain beacons are used for tracking people or for providing frictionless access control (see this case study) and feature a small form factor with replaceable battery and push button control. Users have complete control over power levels and advertisement rates, and if using iBeacon or hybrid firmware, UUID, Major and Minor settings. Anyone that has a new car with the ability to sense when the key fob is nearby to automatically unlock the door, understands the convenience of “frictionless” access control. Frictionless basically means not having to pull a key out of your pocket or swipe a badge across a scanner. Using C3-Wireless BLE Readers and a key-chain BLE beacon or other BLE wearable running our proprietary code, that same frictionless access control is now available for smart homes or offices. 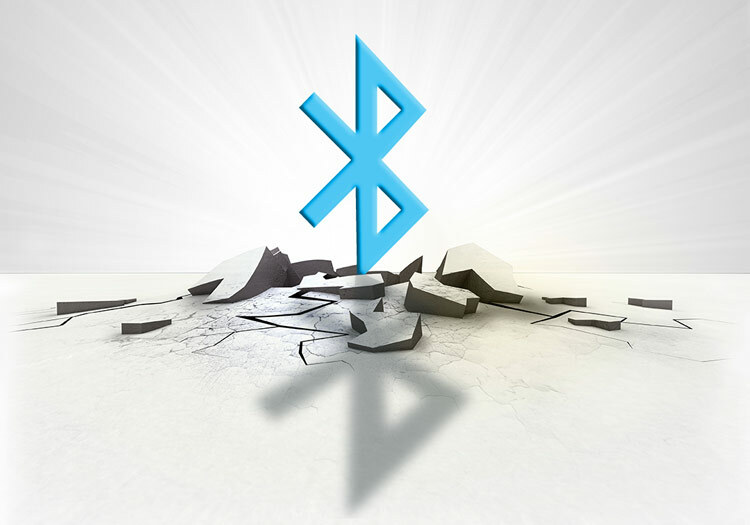 Our BLE access control protocol is connectionless, and beacons act like wireless one-time password generators (similar to Yubikey). Though authentication information is transmitted in the clear, the authentication server verifies that the sender possesses the correct beacon key and that the message is unchanged. The probability of guessing the correct authentication tag is less than 1 in 4.2 billion. Attackers cannot generate valid beacon packets or replay valid packets they intercepted. If an attacker obtains a beacon they can use that beacon until it is deactivated (similar to obtaining a key card). However they are not able to generate valid packets for any other beacons since all beacon keys are unique. Cloning a beacon is possible but significantly difficult and is detectable by the system. Once beacons are deactivated, they are useless. Attackers can create new unique beacon IDs and secret keys, but because the matching data isn’t in the authentication database, the beacon is useless as well. For more information about Frictionless Access Control, download the whitepaper here or contact C3-Wireless. Beacon piggybacking/hijacking is the act of listening for beacons that other people have placed. Once a beacon’s unique identifier (UUID) is known, it can be used in other applications for unintended purposes. This allows physical competitors to use the data to target retailers and their customers. For example, “Retailer B” can read “Retailer A’s” beacons and lure “User 1” away with discounts. Sites like WikiBeacon have mapped out “naked beacons,” or those that transmit their identity in the open, with close to 300,000 deployed beacons already shared. To address this issue, many beacon developers have added different security methods to their beacons, with the idea that only the intended application would be able to know the beacon’s unique identifier. However, these measures have often shown to either break cross-platform applications (e.g. may work on Apple iPhones but not on Android phones) or been ineffective in preventing hackers from discovering the beacon’s unique identifier. For example, this August 14, 2015 Make article on hackable beacons highlights the current real-world lack of beacon security from leading vendor beacons. 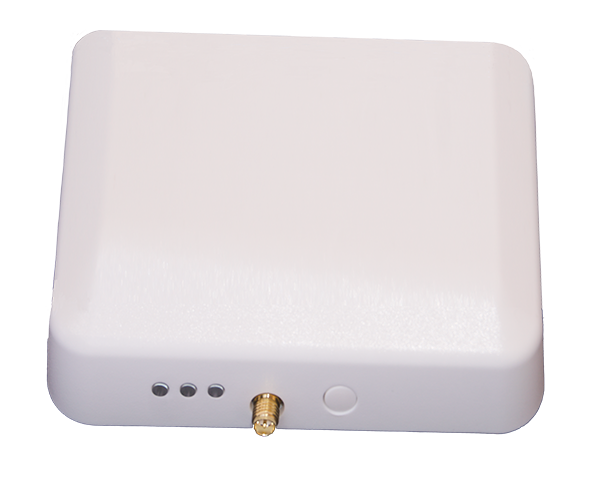 Fortunately, the C3-Wireless Beacon Reader approach offers the same capability and functionality as the traditional beacon and Smartphone solution, but adds the ability to prevent hijacking. Rather than using a stationary beacon with a known location that transmits a unique identifier, the Beacon Reader reads beacon transmissions from the end-user’s Smartphone, transmitted by the vendor’s application. The Beacon Reader can hear all beacons, but choose to act on only the designated, “interesting” beacons, all in a secure way that doesn’t break the Bluetooth Low Energy standard. Furthermore, the app developer can add proprietary information for enhanced functionality and security, all while leaving hackers nothing on the Beacon Reader to capture and duplicate. 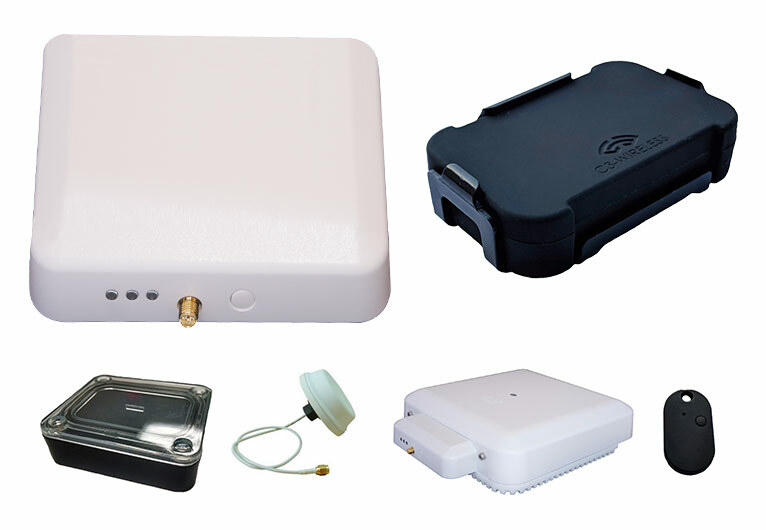 If beacon hijacking is a concern, the C3-Wireless Beacon Reader is the solution. Contact C3-Wireless to find out more information. DeCurtis Corporation is the first choice for proximity-based guest experience solutions, custom application development and strategy enhancement for restaurants, cruise lines, theme parks and the hospitality industry. C3-Wireless and DeCurtis Corporation combined their BLE expertise to create the first-ever third-party module for the Cisco 3800 Series Access Point, the DC-BR3800-01 BLE 5x Module. This module physically plugs into the Cisco 3800 series access point’s expansion module for power and network uplink, and provides the ability to transmit or read any BLE 4x or 5x standard advertisement. It passed rigorous Cisco Certification testing to make it the most advanced BLE solution available today. The platform is built for large-scale, enterprise-class deployments and integrates with management platforms, location aggregators and the DeCurtis Experience Platform to provide unrivaled guest experiences. Sigga is a global provider of SAP certified mobile enterprise applications. Sigga Brizzo is a complete mobile maintenance and inspection solution for SAP PM. Sigga identified BLE as a great technology to improve equipment identification and validate a user was at the location of inspection when the inspection was completed. By placing a beacon at an inspection location, the application automatically identifies the piece of equipment from within the mobile app. If the user is not within a pre-defined proximity of the equipment, they are not able to unlock the item to be inspected until they come within range. Sigga needed a beacon that could operate in harsh industrial environments such as concrete plants and be configurable and adjustable to set proper boundaries from location to location. They selected C3-Wireless beacons because they met all their requirements at an attractive price point. C3-Wireless professional services teams helped implement the solution. Digital Interiors has specialized in designing, installing and servicing smart technology solutions for home and businesses to the highest standards for more than 20 years. When a new luxury condominium complex was proposed in Midtown Atlanta, Digital Interiors was tasked with providing a technology solution to offer the highest level of customer experience possible. Leveraging their extensive experience in smart building automation, they worked with C3-Wireless to design a custom-built frictionless access control solution using C3-Wireless BLE Readers and beacons. Similar to new cars that unlock when you touch the door handle if the key fob is within range, residents simply walk up to a door to automatically unlock it using a keychain beacon with specialized, highly-secure BLE access control firmware. A beacon placed in a car automatically opens the property’s outdoor lift gates, outdoor garage doors, and individual garage door. Pressing a button on the key fob closes the garage door while exterior doors using proximity to unlock or automatically call down elevators. L&T Technology Services is a leading global Engineering Research and Design Company offering services and solutions to all major industries including Transportation, Industrial Products, Telecom & Hi-Tech, Medical Devices and Process Industry. Working with a large brewery, L&T helped them identify a way to improve how they tracked product loss during the packaging process by moving from a manual to an automated processes. This would allow them to get better accuracy and insight into where losses occurred. By better addressing these losses, the brewery could save millions of dollars per year. L&T originally planned to track the processes using Active RFID. However, after reviewing the advantages of BLE over Active RFID, especially comparing the cost of each solution’s reader, L&T decided to use BLE instead. L&T partnered with C3-Wireless to provide the hardware, including readers and beacons, and develop the custom application. One reason for using C3-Wireless beacons was the ability for them to work in harsh conditions where they would be exposed to liquids. 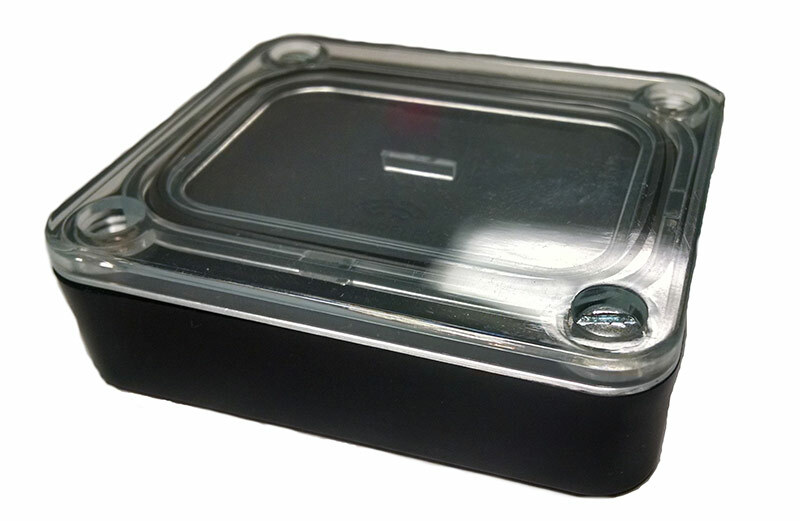 The IP65 beacon enclosures provided the needed protection.